Chang La Pass - Third Highest Mountain Motorable Pass in the World. 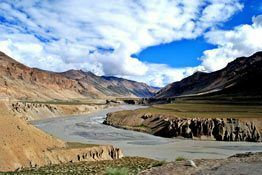 Everybody, or at least those with a faint interest for travel, would know that Ladakh is famous for its high altitude mountain passes. 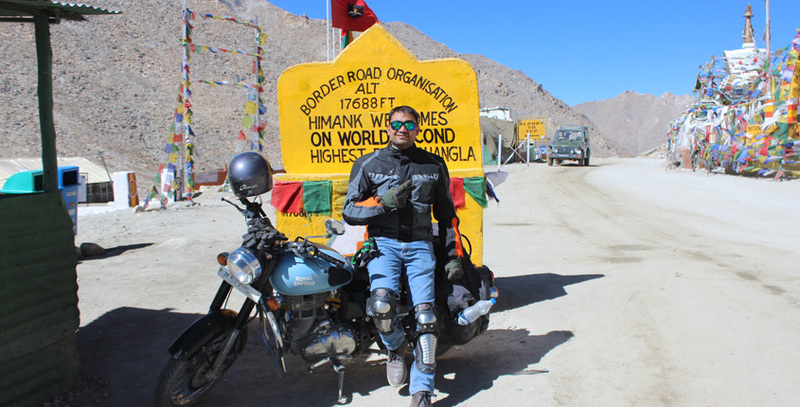 Some of them make for the highest motorable roads in the world too. 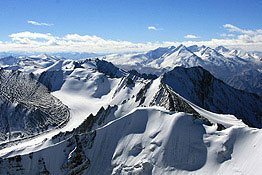 Chang La Pass is the third highest motorable mountain pass in the world. 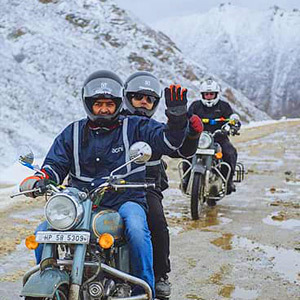 It is situated at an unbelievable altitude of 5,360m above sea level and crossing this pass is the ultimate test of the adventurer in you. Why is it called Chang La Pass? Chang La Pass, the third highest altitude mountain pass in the world, is believed to have been named after a famous sadhu named Sadhu Changla Baba. It was after him that the pass got its present name, and a temple dedicated to him stands here today. The name means “Pass towards the South” or “Pass in the South”. 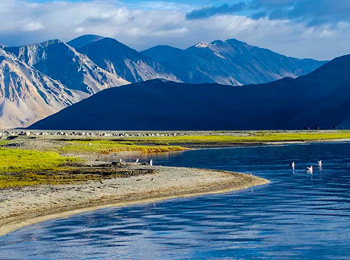 Chang La Pass possesses the kind of scenic beauty that is associated with most of the other places in Ladakh. The nomadic tribes staying in this region are collectively known as the Chang-pa.
What makes Chang La so famous? There are many reasons for Chang La pass being famous among tourists. It is located at an unbelievable altitude and boasts incredible scenic beauty. It’s interesting to know that the pass, which is guarded and protected by the Indian Army (it’s located very near to the Chinese border), is covered in snow throughout the year. The beauty of this place will exceed your wildest imaginations and put you into a trance-like state. Crossing the Chang La Pass is in itself extremely thrilling, and tests your adventurous spirit, too. The very first thing to do here is, therefore, to cross this pass! The next thing you can do is to enjoy the breathtaking views all around. Be sure to click enough pictures, you will treasure the memories throughout your lifetime. Just before reaching Chang La Pass, you will pass by the DRDO high-altitude workstation, which has also been mentioned in the Limca Book of World Records for being located at such an unbelievable altitude. The second reason is that it was here that Yoga was performed on International Yoga Day. Of course, you should visit the Chang La Baba Temple. There is also a small café where you can enjoy tea and refreshments. What precautions to take while visiting Chang La Pass? Chang La Pass is beautiful and enticing, no doubt. However, it should not be forgotten that it’s situated at an altitude which can cause several physical inconveniences, especially if one is visiting it the first time. It is absolutely necessary to take certain precautions while visiting the Chang La Pass. This will ensure that you have a great time while being safe and sound. At an altitude of 5,360m, the air is quite thin and may cause certain problems such as breathlessness, headaches and other complications. Therefore, it’s advisable to stay at the top for not more than 15 to 20 minutes. However, if you have any kind of breathing problems, it would be advisable to carry oxygen cylinders with yourself. You should also consult your doctor first before taking a trip to Chang La Pass. Practice certain breathing exercises three months before visiting Chang La Pass. Chang La Pass remains closed during the winter season because of the heavy snowfall it receives. The pass remains open from the months of May to October, and that is the time to visit it. What permission do I need to visit Chang La Pass? 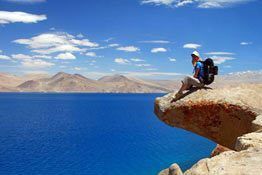 Chang La Pass is located on the way to Pangong Lake. An ILP, or an inner line permit, is therefore required to visit it as it lies in the restricted area. You can apply for the ILP online. All you need is an identity proof like your Aadhar Card, Voter ID or Driving License. There are a lot of other attractions that are located in close proximity to the Chang La Pass which you should visit. 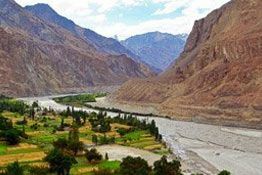 Here are some of the attractions which you should check out while visiting Chang La Pass. Stakna Monastery is situated at a distance of almost 53km. It is also known as Tiger’s Nose Monastery because its shape resembles that of a tiger leaping up to the sky. The monastery houses several attractions including an enormous assembly hall, several idols and a 7ft tall figure of Lord Buddha. Thiksey Monastery, located at an altitude of almost 3,600m in the Ladakh Valley, is one of the largest and most famous monasteries in Ladakh. It has a strong resemblance to the Potala Palace in Tibet. The monastery is home to several attractions including the Maitreya Buddha statue, Tara Temple and Lamokhang Temple.